This post is about how to make a spider egg carton craft with directions to make one. 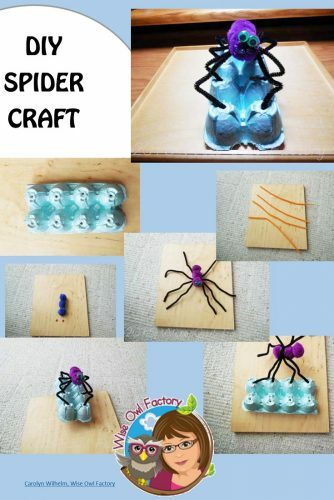 Using the bottom of an egg carton and a few craft items this spider is fairly easy for children to make. A one-page set of photo directions in a PDF is available at this link. Begin by cutting off the bottom and only eight sections of an egg carton. Then punch a hole in each of the sections. We used a potato nail. Be sure to have some newspapers underneath to avoid scratching the surface on which you are working. The supplies required other than the egg carton include 4 and 1/2 pipe cleaners, 6 to 8 wiggly eyes, 3 pom poms, glue, and paint. Next, paint the egg carton if desired and wait for it to dry completely. While you are waiting, the four pipe cleaners should be lined up. The partial pipe cleaner should be twisted around the middle to hold them tightly together. Next, pull the four “legs” out on each side of the middle of the pipe cleaner bundle. When the legs are bent downward from about the middle of each one, the spider begins to be recognizable. Glue as many eyes as your spider has on the front pom pom. We looked up spider information and learned the number of eyes depends on the spider’s abilities. Some spiders have six, some have eight, some have more. Some have no eyes and some have twelve! To make the spider, we glued two pom poms together to be the back part. Then we glued one to the front of the middle part of the legs, and the two to the back part of the middle. I realize a spider has two body parts but it just looked better to use 3 pom poms. 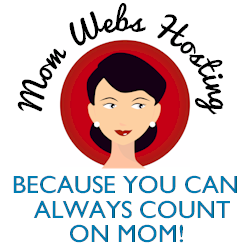 You may choose to use two, especially if you have larger pom poms. When glued together, it will look something like this. When the glue dries, the legs should be poked in the holes in the egg carton. Be careful to not twist the legs very much. And, there you have it, a spider! Hopefully some spider facts can be looked up and discussed along with this craft. Thank you for reading. 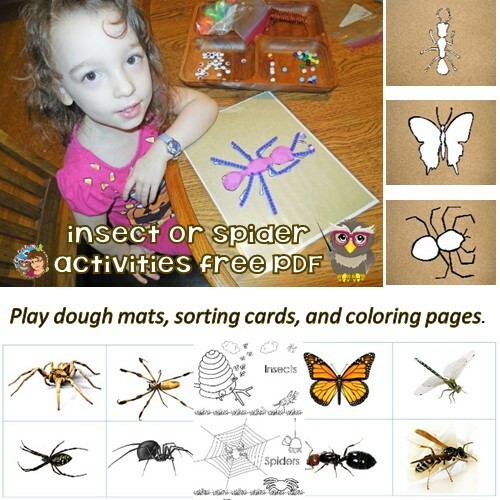 You might also like the insect and spider play-dough mats. 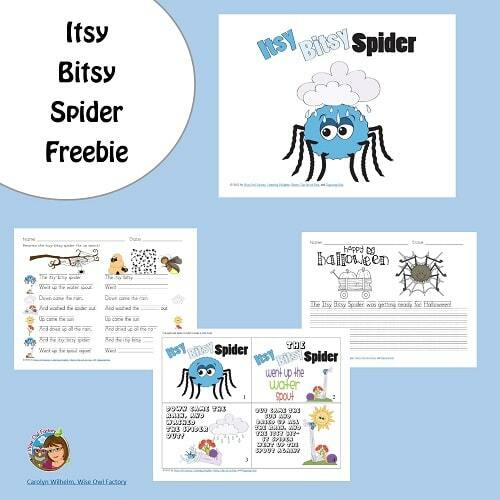 For intermediate readers and writers in grades one and two, there is an itsy bitsy spider printable freebie, also.